I wrote this in 2015 and it remains as valid today as it was then. Just because the girl next to you is beautiful / gifted / smart / skilled / inspirational … does NOT mean that you are not. To recognise a talent, attribute or skill in another female, is not competition – it’s truth!… and it’s okay! I encourage you to give another woman a sincere compliment today. You will not become less because you gave more. A kind word. A humble deed. You will continue to shine just like before. It will take nothing from you. Woman who are comfortable in their own skin, support and encourage each other. There is no need to break anyone down. There truly is enough sunshine for us all. 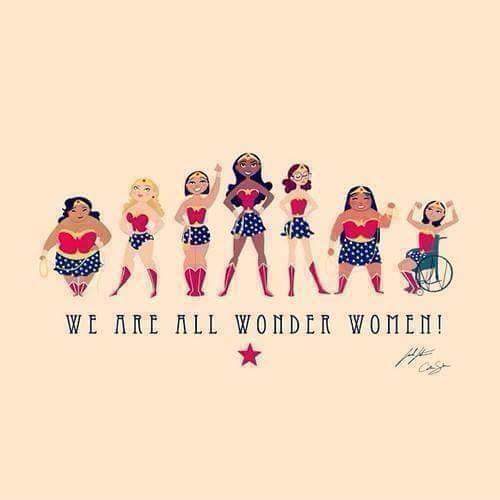 Happy Woman’s Day! Previous Article Courage is found in unlikely places. Next Article To dream is to starve doubt, feed hope.